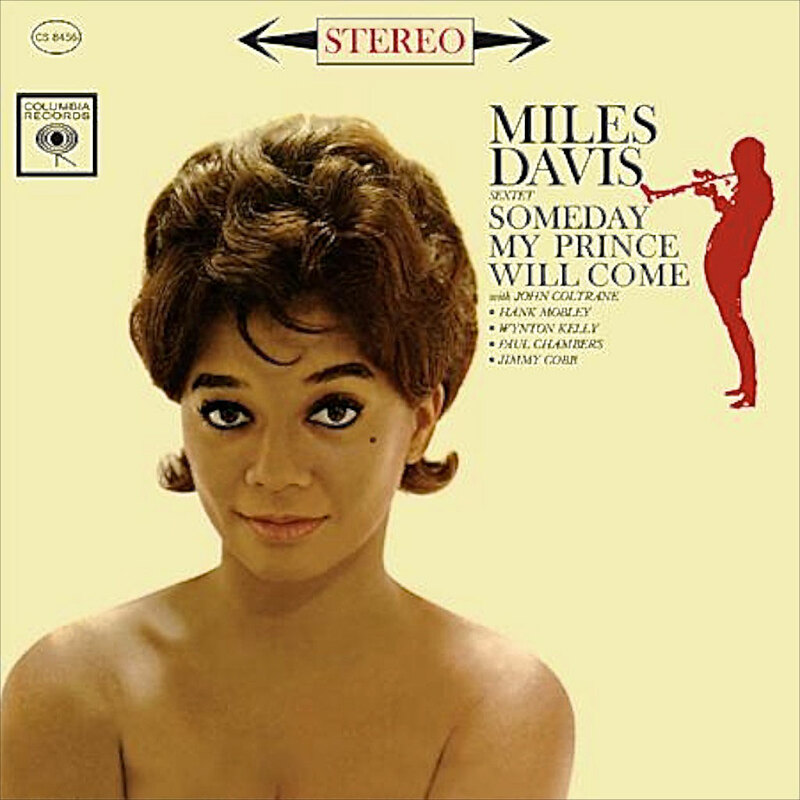 Someday My Prince Will Come by Miles Davis is one of the best morning records ever. From the opening title track, Davis’s interpretation of the composition from Snow White waltzes you melodiously into the morning. It reminds you that you are going to have a wonderful day, whether you know it or not. Track two, Old Folks, slows down and eases you into a fully sentimental, introspective mood. The whole record finds a groove and invites you to ride along. It’s beautiful, and I didn’t know any of this until Saturday. You see, I am more or less a rock baby. My brother, a huge Beatles fan, turned me on to all sorts of great rock records. My Mom played folk music when she was younger, so I listened to a lot of that. Growing up in Southwest Missouri, Country music was everywhere. As far back as I can remember, I was curious about music and would gladly listen to different styles, but I always fell back on Rock and Roll. I was a KISS fan immediately after my brother bought Destroyer and The Originals in the late 70’s, but I went headlong into metal from about 1980 on. Even then, my listening was peppered with rock classics. The obligatory Doors and Zeppelin phases, etc., but my metal armor really cracked in 1985 with The Plimsouls and again in ’86 with The Rainmakers debut record. I started listening to a lot of College Rock. Then came Uncle Tupelo in the early 90’s. They were a real game changer for me. I starting exploring Alt-Country and Americana, working backward to classic country and the origins of Country Rock (The Byrds, Gram Parson, Poco, Emmylou Harris, etc.). It was like that through most of the 90’s until late into the decade when I was having a particularly crummy November. Honestly, I don’t remember all the hullabaloo, but I recall drowning myself with a few wobbly pops in our basement one night when I came to the decision that I wasn’t in the mood for the holidays. I had to find a way to fend off all that good cheer, to maintain a sufficient level of gloominess. What would do the trick? Given that a deluge of holiday music was on the horizon, the thought crossed my mind to try and find the antidote, the perfect anti-holiday music. The answer seemed at once diabolical, clever, and clear. Black Sabbath. I would have a Black Sabbath Holiday; Ozzy Sabbath only (No offense, Ronnie James). It was determined, From Thanksgiving to Christmas, I would listen only to the Ozzy Osbourne lineup of Black Sabbath. Well, about 87% of the time, anyway. I do a lot of things on 7’s, which is an altogether different discussion, and I had to find some way to account for those times when I couldn’t control what I was listening to, or just needed a break. In all honesty, it just seemed like a nice little loophole to throw in, should I find myself pulling my hair out 4 days into the experiment. I woke up the next morning, maybe a step slow, but excited and determined to plow forward. Thanksgiving came, and on went War Pigs! I read more about the band. Rented a few concert DVD’s. I really went for broke and had a blast doing it. Not only did I enjoy it, but the whole damn thing pulled me out of my funk. Pity party foiled again! It needs to be an artist or style that I am not completely familiar with or own a lot of recordings from – This keeps me from picking Tom Petty or R.E.M. every year. For full disclosure and as a semi-intentional, fortuitous side-benefit, it helps justify a few extra additions to the collection. All in the name of research though, no doubt. 87% of my time listening to music needs to come from the selected artist or style – For the record, this guideline is an absolute paper tiger. I have no metrics by which to gauge how much I am listening. It just seems like the kind of rule that needs to be in place. The annual Thanksgiving Project has taken me all over Rock and Roll, Country, and even helped me discover a passion for pre-World War II blues; Sleepy John Estes continues to be a regular guest in my rotation. 15 or so years into it, I feel this annual journey has made me a better fan of music. It’s nudged me along paths I don’t know that I would’ve normally taken, brought records into my collection that might not have found a place otherwise. It’s had a few downsides, believe me. There have been a few years where I was counting days or rationalizing loopholes to get back to something more familiar or easy on the ears. It’s become a tradition though, and it helps keep music fresh and exciting. My internal discussion starts creeping in late Summer, waning in and out of my thoughts until I make a decision as to what it’s going to be that year. I might hear a song, songwriter, or band and make a mental note as to their candidacy. We saw Kelly Willis and Bruce Robison earlier this year and between songs, Bruce mentioned that Kris was one of his idols. This year I was convinced it would be Kris Kristofferson. Jazz has been a perennial candidate, but I could never pull the trigger. I’ve attempted to be a fan of Jazz, at least as much as a music fan is supposed to, but it never fully took. That’s not to say I avoid it. I have a few records, gone to see it played live. I have friends that are Jazz fans and I was always eager to listen to them preach the truth about the music, but never took the plunge myself. As mentioned before, I was convinced this year was Kris Kristofferson, but just before Thanksgiving, the decision came out of nowhere. I needed something completely different. I did a bit of research and bought a book, Jazz 101: A Complete Guide to Learning and Loving Jazz. I queued up the Ken Burn’s documentary on Netflix and bought three new records, some of which were recommendations lifted from a friends Facebook post a while ago. I actually already owned Someday My Prince Will Come, but never gave it much of a listen. Ends up, I wasted about 10 years of good, morning listening. It wasn’t until last Saturday morning, somewhere around 7:00 a.m., that I realized that Someday My Prince Will Come by Miles Davis is one of the best morning records ever. As I was enjoying my coffee, listening to that record and getting ready to play a game of Legendary Encounters: Alien, I started thinking about my connection with music and gaming. There are all these different elements I enjoy about both that are actually quite similar. Separate parts that, together, make a interactive and consumable piece of art. Album and gaming art both present an interpretation of what is contained within the box or sleeve. Musicians, songwriters, and board game designers all work to craft a piece of work out of an idea or theme; Something we can explore, interpret, attempt to understand, and use to escape. Seemingly, the same questions started to become relevant to me. What were their influences, driving them to move in the direction they did, design a certain game, or record a piece of music? How did these mechanics, styles, or techniques develop over time and where did they originate? You can begin to trace lines from Diplomacy to Catan, from Dungeons & Dragons to Dead of Winter. What would happen if I attempted the same experiment with board games? Would it be as fun to take a period of time and only play games from one game designer, or from a certain style of game? Can I reach a deeper appreciation of the art and in turn, will it make me a better gamer, or will I end up in lying in a puddle of my own drool after only playing heavy Euro-games for 30 days? This will be a project for 2015. I will need to find two holiday’s with a decent window of time in-between. Maybe Groundhog day to St. Patrick’s? Possible, but I think it will take longer than the 28 days or so that comprise the Thanksgiving Project. After all, I have more access to listening time than gaming, and listening can easily be a solo effort. Now I just need to decide who the designer, or what the game style, will be. I have a few candidates. This is such a brilliant post for so many reasons, but I’ll start with the music. Great choice of a morning record, first off. My go to morning jazz record is “Bumpin'” by Wes Montgomery, but I’ll get down with some Miles any day of the week. One of things I love so much about your idea of applying your musical journeys to board gaming is that it the amount of latitude there is for exploration. If you choose a designer, there’s this interesting vertical survey of someone’s mind manifesting itself through various mechanisms while still illustrating that designer’s personality, and a more horizontal survey of mechanics or genre. This is really inspirational and I may give this a shot next year as well. I think if I were going to go through a designer’s catalog I might go for Sid Sackson, Reiner Knizia, or (oh boy)Stefan Feld. I certainly appreciate the comments and I am glad you enjoyed the read. I will have to put “Bumpin” on my buy list and let you know what I think. One of the unexpected benefits from this little farce 15 years ago, is though I explore things I am interested in by nature, it’s a concerted effort in a consolidated time frame; a crash course, if you will. I think consciously committing brings a sub-conscious buy-in to dig around a bit more than usual, just to see what you can find. Once I firm up a date, I will update the blog, most definitely. I kind of like the idea of a Groundhog Day project for gaming, it has a nice ring to it and a fair nod to the theme of the movie. Maybe we can make it a thing? That sounds really cool, and I’m totally in. I find that I have a similar method in approaching my hobbies. I tend to dive into them very intensely for a set amount of time. Often my enthusiasm levels out, but I always keep a foot in whatever I come across. I think my favorite time of getting into a new hobby is at the beginning when I don’t know anything, so everything feels revelatory and exciting. My hope is that with this approach I can be pretty well versed in a lot of things that interest me which also makes it easier to relate to more types of people with interests that wouldn’t always overlap on a Venn diagram. That kind of diversity in life make it so much more fun for me. I hope you enjoy Bumpin’, Wes was a great player, as was his contemporary Grant Green, though I think Grant Green’s Alive! is perfect dusk music. I have a similar approach to hobbies as well and agree with your philosophy. Thanks for sharing your thoughts and musical suggestions. I will let you know about Wes Montgomery and will have to check out Grant Green as well. Great post, thanks for sharing. I completely agree with your hypothesis here. Like you, I obtain solace and perhaps even heightened abilities when melding audio and cerebral stimulation, of any kind. For example; “Does country music make me a better motorcycle mechanic? Or “Does Tchaikowsky make me a better conversationalist with my Mother?” Does liquid metal make me a better driver?”. Its just a theory, but I feel like listening to some Exmortus, Body Count or Slipknot sharpens my ability to thrash I40 traffic, even at felony speeds. I’d be honored to obtain your expert analysis on other such combinations.